The relatives of a Baltimore teenager think they know the name of the police officer who killed him. But when his mother finally sees the surveillance video of his death, a new story emerges. 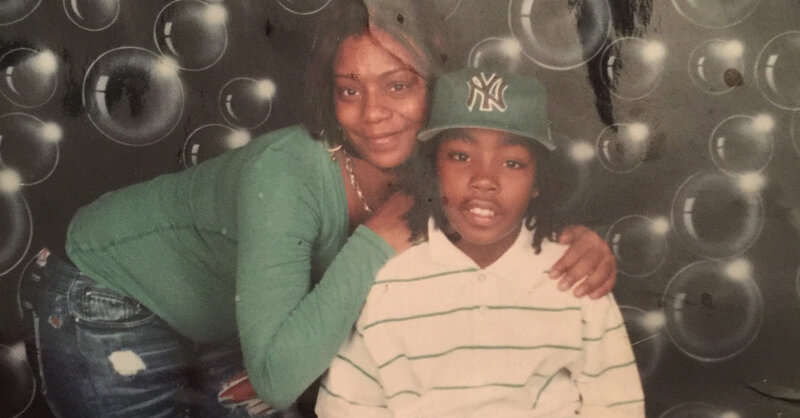 Every day this week, we’ve brought you the story of Lavar Montray Douglas, known as Nook, who was fatally shot by a police officer in Baltimore in 2016. His family has been searching for answers ever since. Part 5 is the conclusion of our series. We talk to Nook’s mother, Toby Douglas, about how grief has changed her. She tried joining a support group for mothers, many of whom now fight to stop gun violence. But her son had a gun, and he was shooting it. Toby and her mother, Davetta Parker, think they know the name of the police officer who killed Nook. They’ve heard it around the streets. We visit him at his home in the suburbs, and he’s not at all who we expected. Nook would have turned 20 in late May. We drive with Toby to tie balloons at his grave and to a stop sign at the corner of Windsor Avenue and North Warwick Avenue, where he was killed. She often goes there to feel close to Nook, sometimes sleeping in her car at the intersection. One day, Toby gets a phone call. It’s the police. They want to show her the complete surveillance video of Nook’s final moments. If you’d like to start from the beginning, here are Part 1, Part 2, Part 3 and Part 4. As the Baltimore Police Department tried to repair its public image, a corruption trial exposed the depths of misconduct: An elite group of officers had been stealing from residents. 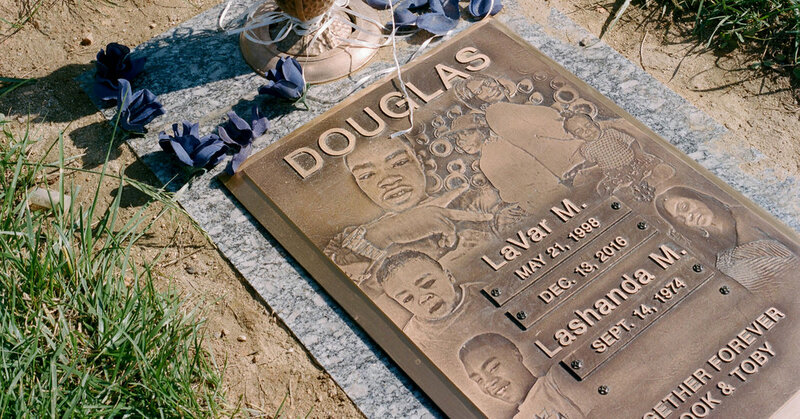 Every day this week, we’re bringing you the story of the life and death of Lavar Montray Douglas, known as Nook. He was 18 years old when he was killed by a police officer in Baltimore in 2016, a year after Freddie Gray died in police custody. In Part 4, we go to the heart of the problem with the Baltimore Police Department, beginning with the trial of officers from the Gun Trace Task Force — a plainclothes unit created during the peak of zero-tolerance policing — accused of stealing from residents for years. We talk to Leo Wise and Derek Hines, federal prosecutors nicknamed “the Twin Towers of Justice,” because they are both very tall and thin. Their case started with a pair of heroin overdose deaths. As the case grew, it revealed a sprawling network of criminal activity, in which police officers used brass knuckles and baseball bats and went after drug dealers, because they kept cash. When those drug dealers complained, no one believed them. The officers are now being sentenced. Over time, they stole hundreds of thousands of dollars. They planted guns and fabricated evidence. The city announced this week that it would have to re-examine around 1,700 cases that involved the task force. If you’d like to start from the beginning, here are Part 1, Part 2 and Part 3. What happened to the generation caught between a crack epidemic that consumed their neighborhoods and the aggressive police tactics meant to fix the problem? Nook spent the first few years of his life in an affluent suburb. But when he returned to Baltimore, he became part of a young generation caught between the crack epidemic and the aggressive police tactics meant to fix the problem. For the past two days, we’ve been bringing you the story of the life and death of Lavar Montray Douglas, known as Nook. He was 18 years old when he was shot dead by a police officer in Baltimore in 2016. In Part 3, we look at Nook’s childhood. He spent the first few years of his life with an aunt in an upper-middle-class home outside Baltimore, taking piano lessons and going to church every week. Yesterday, we learned that Nook’s mother, Toby Douglas, kept returning to Baltimore. The same thing happened to Nook. We go to Nook’s Baltimore, to his corner on Calhoun Street and Pratt Street. Some of his friends are still there, and we talk to them about Nook’s life. He was ambitious, they say. A leader. His mother was proud of that. Everybody was talking about the Baltimore police officers who had just been on trial, accused of stealing from drug dealers. You see, they said, we were right. The cops are robbers. We said this all along, but nobody believed us. Suddenly, two police officers pull up, and we encounter something that seems to be emblematic of the changes in the Baltimore Police Department. If you’d like to start from the beginning, here are Part 1 and Part 2. How did trust between the police and the people in Baltimore collapse within the span of three generations? 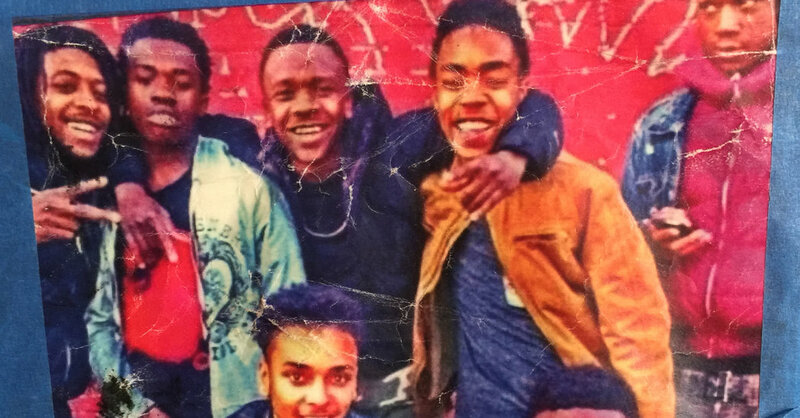 Yesterday, we started telling you the story of Lavar Montray Douglas, known as Nook, an 18-year-old in Baltimore who was killed by the police in the spasm of violence that began after Freddie Gray died from injuries sustained while in police custody. In Part 2, we visit Nook’s mother, Lashanda Douglas, known as Toby, in the house she moved into after her son was killed. She sits on the floor of her bedroom, partially covered by a large pile of clean clothes. She is grieving, and folding them and putting them away is soothing. We learn about her past. She graduated from high school with honors. She fled Baltimore to escape a bad boyfriend. But the city eventually lured her back. We’ll also go back in time, to the Baltimore of Nook’s grandmother and great-grandmother, of flower pots and tidy blocks, when men were still part of families and middle-class jobs were plentiful. We’ll see that relations with the police weren’t always bad. But job loss and drugs tore through the city like plagues. And the policing idea of zero tolerance, transplanted from New York City, created an entire generation of young men with criminal records. Every day this week, we’ll bring you a new chapter in Nook’s life and his family’s search for answers about his death. If you’d like to start from the beginning, here’s Part 1.